Today we have a great interview, a great honor to have done this interview with Bobby. 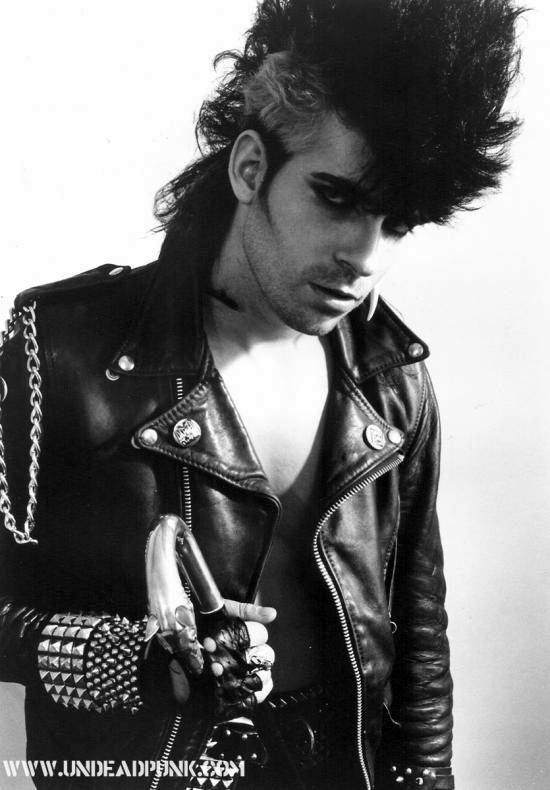 "Bobby Steele" currently with other projects and his band "The Undead" since 1981. Bobby also played guitar in the Misfits 1978-1980, Doyle took its place. that today are considered classics of Horror Punk. 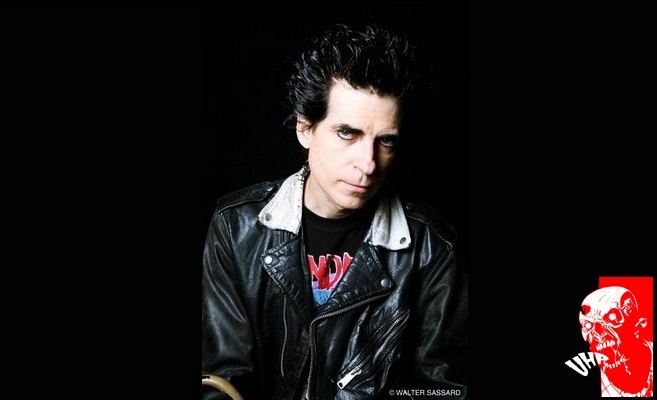 After his departure from the Misfits, Bobby formed his own band "The Undead"
Erik: Hello Bobby, is a great honor to be talking to you, you have been an important icon in Horror Punk scene, we have to thank you for all your work. Bobby: I was born listening to Rock’nRoll music. I’d wake up to hear the radio on, and legendary Disc Jockeys, like ‘Cousin’ Brucie, Murray The K… but it was seeing The Beatles on TV that was my first real inspiration. A few years after that, my friend’s father became a driver for the Dave Clark Five, and they’d stay at his house whenever they were in the area. After high school, I joined a covers band that had been playing to small audiences for two or three years; and shortly after, we became the largest drawing band on the circuit – usually playing in front of 1,000 or more people. In 1976, I became the first guitarist to play the ‘Star Spangled Banner’ (Hendrix-style) at a major sporting event. It was for what has become known as the WWE, today. Erik: How did you meet the "Misfits" enjoyed those years with them ? 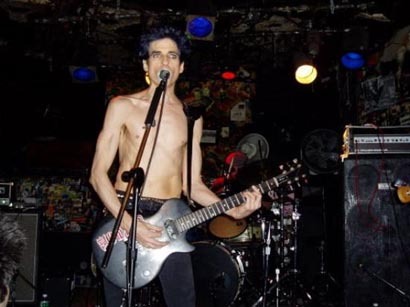 Bobby: I’d already become loosely established in the NY punk scene, as guitarist in The Whorelords, but wanted to do more, so I placed an ad in the local music paper. I was looking for a band that had management and a record contract… Glenn lied. It was an experience, to say the least. I can’t say that I have any regrets. Erik: I and many like his work with "Misfits"
songs were good, really good work. Tell us a little about his departure from the band, was sad or you had another project ? Bobby: I was sad for about five minutes. I remember turning to my girlfriend, and saying “now what am I gonna do?”. Then, I thought about how frustrated I was over playing only one gig that whole year, and I said “I’ll start to play gigs.” It was a relief, in that way. 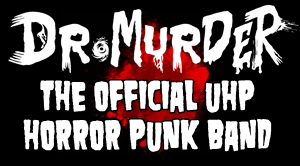 Erik: How was founded the band "The Undead" ? Bobby: Before I was I The Whorelords, I had a band, called The Skabs. 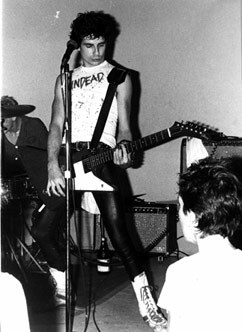 Since The Misfits didn’t practice often, I’d go and jam with Natz, and Ritchie (Matalian) on most Sundays. So, when I got fired, I just called Natz and told him we were gonna make the band official. Ritchie didn’t want to do it, so we advertised for a drummer, and found Patrick. 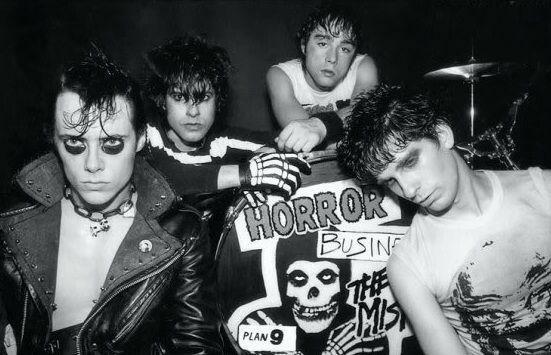 I was kicked out of The Misfits in October, and The Undead played a showcase for club promoters in early December, with out first gig on January 30th 1981. Erik: I see that the band has gone through many formations, you already played with many important people. How was that experience? Bobby: It’s been mixed. Some were good, others were nightmares. Too many musicians are irresponsible, and I’d end up with 90% of the work – booking gigs, arranging practice, designing posters, and transporting the gear. Some musicians were fun to work with, while others could make the simplest task feel like drudgery – with their whining. Erik: The band continues strong today. Tell us a little about your other projects. Bobby: Currently, I’m attempting to write a rock opera, or musical – however it turns out. I don’t want to go into detail, since it’s in it’s infancy. I had a recent disaster, that lost everything from the past, so I can only move forward. We plan to record this month, and I’d like to release an EP for the summer. Other than that, I’m playing guitar and bass at my church, and when he’s not on the road, Steve Zing plays drums. I’m promoting the church coffee house, booking punk and metal bands for all-ages shows. Erik: You have desire to play here in south america (Brazil) ? Bobby: Yes. I’ve tried, and almost had a small tour – but nothing ever came together. There was even some plans to go with Marky Ramone and Michale Graves, but it never worked out. Erik: The Undead is still alive, you want to release something for the future? can tell us something ? Bobby: Like I said earlier – I’m planning to have a new EP for the summer; that is, if world events don’t make it impossible. There’s a lot going on right now that indicate that what is predicted for the End Times in the Bible is not only real, but happening today. Erik: To end the interview, I would like to leave a few words for your fans in Brazil and the world ? Bobby: I’d say to anyone – Like The Undead on Facebook. I post a lot of controversial things, but it’s because I want to help people – and there are too many out there who would rather see everyone destroyed. I finally began to study The Bible, and I’ve learned that it’s very accurate. In recent years, scientists have found the site where Moses crossed the Red Sea – where the remains of chariots are at the bottom of the sea; and they’ve found the real Mt Sinai – in Saudi Arabia. You can find videos of it all on Youtube. Keep an open mind. is a great honor to have spoken to you, we thank you, is one of the pioneers of Horror, thank you very much !! !